Scarborough Court care home in Cramlington. 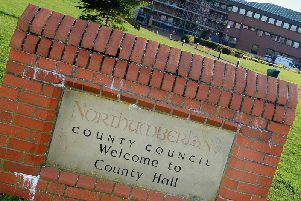 Two care homes in south east Northumberland have been rated ‘good’ following a Care Quality Commission inspection. The commission visited Scarborough Court in Cramlington and Heatherfields in Annitsford and graded the facilities as ‘good’ overall. Scarborough Court’s report stated: “People and their visitors told us that the staff were efficient and met people’s needs in a caring manner. “The staff were aware of people’s individual needs and how they should be met. We saw good interactions and staff were respecting people’s privacy and dignity. Heatherfields’ report said: “People who used the service, family members and staff told us they felt there were enough staff to meet people’s needs.